SonicWALL provides a range of security solutions for business to protect your network like network security, mobility and email security. SonicWALL Automated Inspection scans 100% network traffic with variety of filters to meet requirements of the most high-performance networks. Whether your organization has 10 or 100,000 employees. With SonicWall security solutions you can relax and focus on your business while your network security is taken care by SonicWall Network Security Solutions. SonicWall Virtual firewalls with deep security for public, private or hybrid cloud. SonicWall NetThreat is a cost-effective solution of ensuring and maintaining your security. 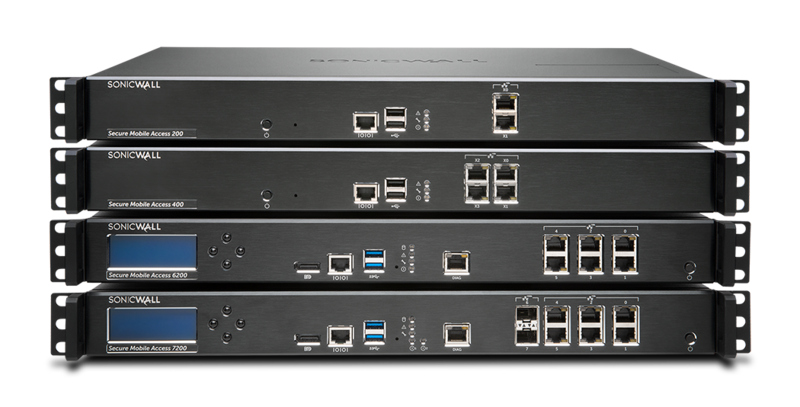 The SonicWall SuperMassive Firewalls are Simple and flexible secure remote access for the SME. 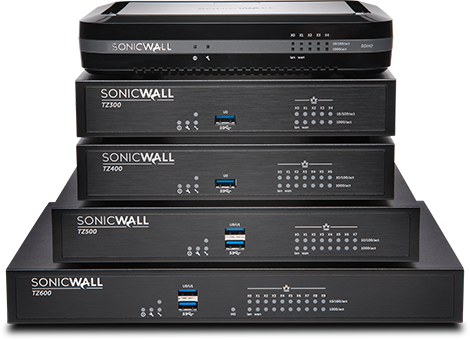 SonicWall TZ series firewalls with secure onboard wireless services. SonicWall Capture Client is powered by a next-generation malware protection engine by SentinelOne. Secure distributed wireless security solution scales to virtually any network deployment. Designed for small to medium sized businesses SonicWALL Next-Generation Firewalls combines comprehensive protection with simple management. It provides intrusion prevention, malware protection, anti-virus, anti-malware, anti-spam, inspection for SSL encrypted sessions, and granular application intelligence and control, content filtering, application control and flexible VPN. With SonicWall Firewall, you can analyse & control applications running across your network and allocate bandwidth as per requirements. Wroffy Technologies is a India based end to end IT Solutions provider and has partnered with leading cyber security solutions provider SonicWall to cater Small medium business & large enterprises to secure their networks. Get the network security, traffic control and visibility your organization needs to grow faster with SonicWall’s wide range of next-generation network firewalls. Designed for small medium sized businesses, SonicWall’s Unified Threat Management Firewall combines comprehensive protection with simple management. SonicWall Firewall provides solutions like anti-virus, anti-malware, anti-spam, ransomware protection, intrusion prevention, content filtering, application control and flexbile VPN. A multi-layered security solution that protects against email threats like phishing and zero days. The SonicWall email security solution provides protection from zero-day email threats and compliance violations, data loss prevention and email encryption. SonicWall uses threat prevention techniques with real-time protection from email spoofing, spam, phishing and viruses. Hosted Email Security : A cloud based security service that protects against latest advanced email threats. Email Security Virtual Appliance & Software : SonicWall Email Security is available as a virtual appliance or as a software application, and is ideal for SMB’s that require the flexibility that come with virtualization. Anytime, any device and any application secure access. With the increase in demand of remote workers comes an increase in demand to enable remote access to applications, data and your network. The SonicWALL UTM and dedicated Secure Mobile Access devices deliver the flexibility required for users along with the security expected by IT Managers ot IT Admins. Either deployed as part of your UTM device or as a more functional dedicated SMA solution, connectivity is available from almost any platform and anytime with all content scanned for threats before it enters the network. The SonicWall VPN access security solution offers remote workers using smart phones, tablets and laptops with secure, policy-enforced SSL VPN access to important applications, data and network. Wroffy’s Network Security professionals helps you choose the best model of SonicWALL Next Generation Firewall and UTM, suitable for your organization based on your requirements & IT infrastructure. To find out more speak to one of our SonicWall Sales specialists !